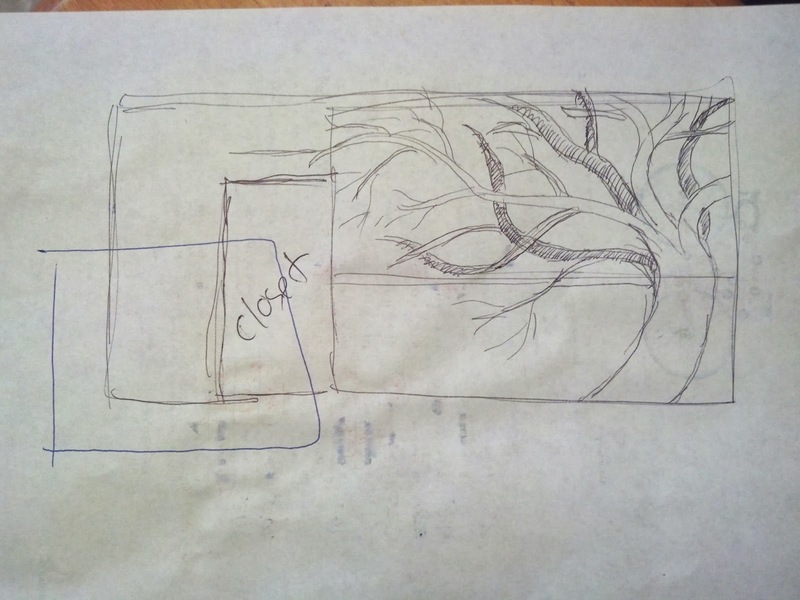 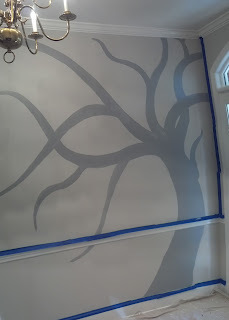 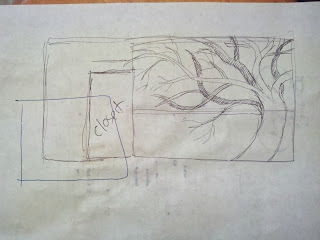 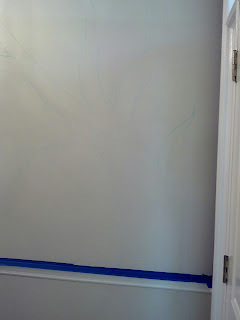 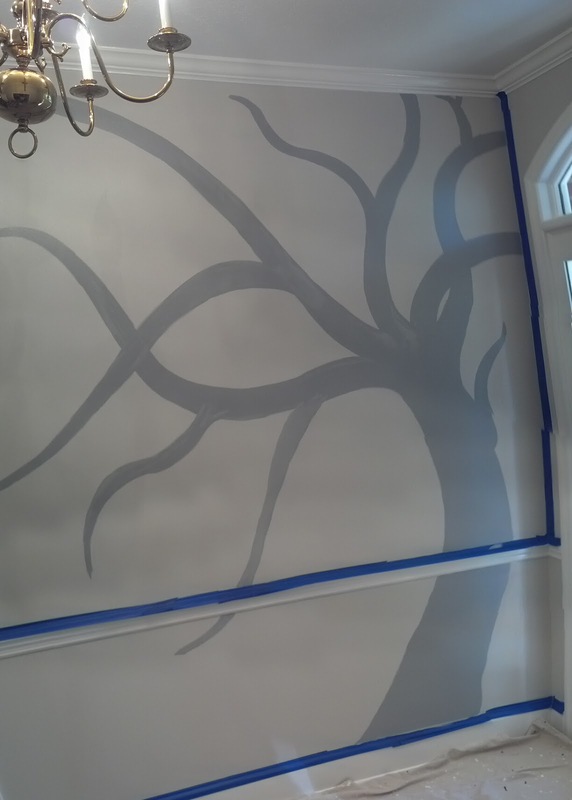 +Sylvia Wormley wanted a tree mural for her birthday, so here goes. 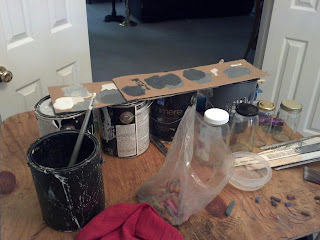 My sample palette and paint cans. 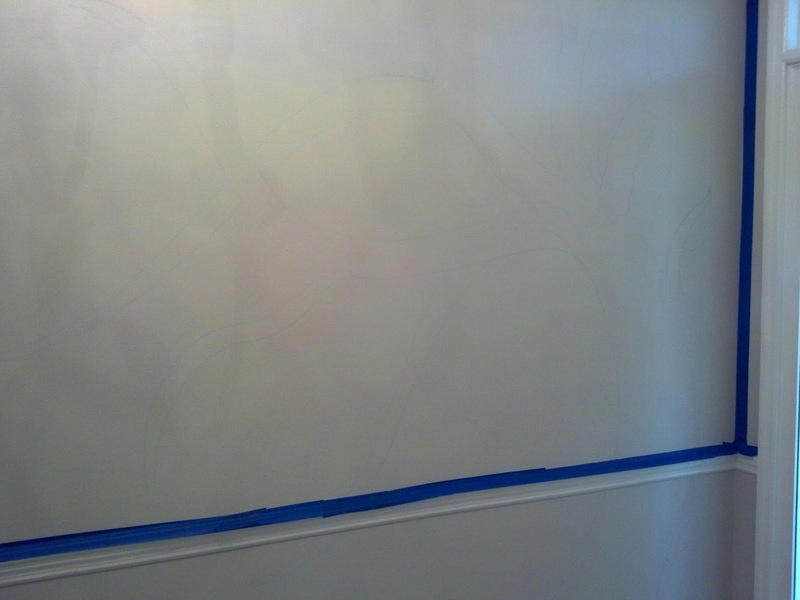 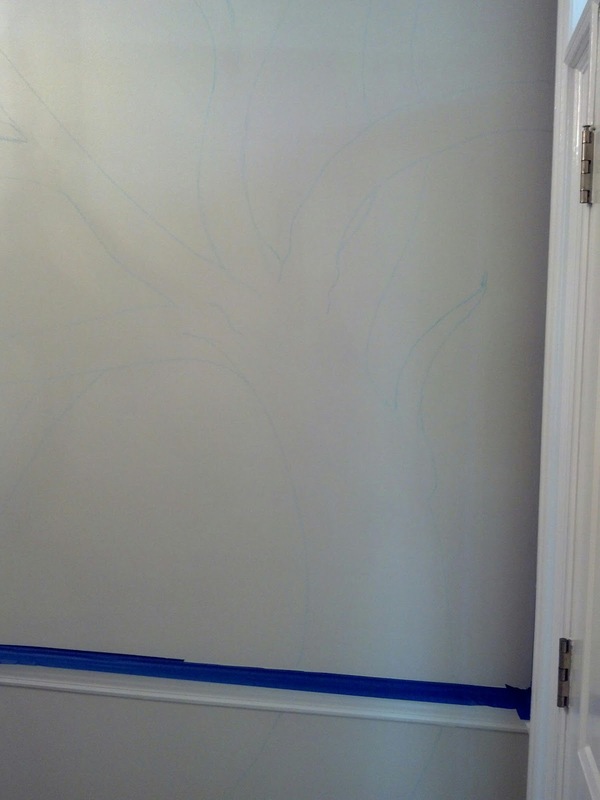 Blank wall with masking tape on wood work. 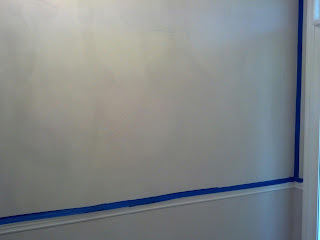 You can barely see the chalk lines. 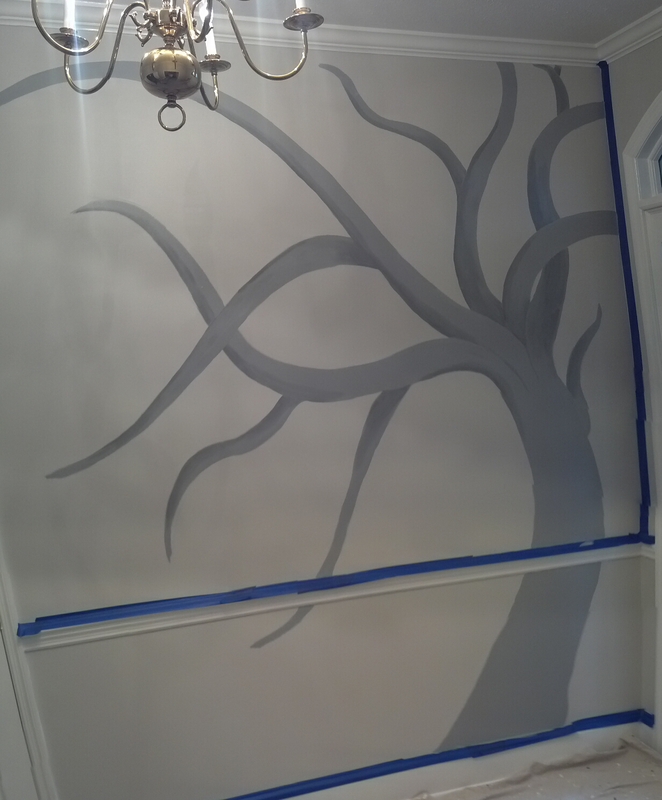 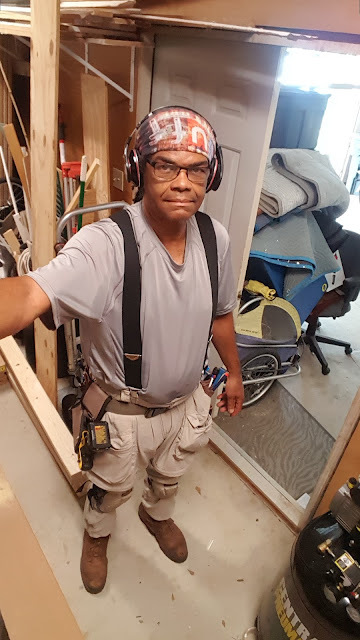 Adding some shading to drop limbs to front or behind.